Here’s a great looking hanging dress 3D clothing model free download for you! You can use our free hanging clothes models for your architectural renders or visualization, interior designs, 3D homes, and 3D scenes. 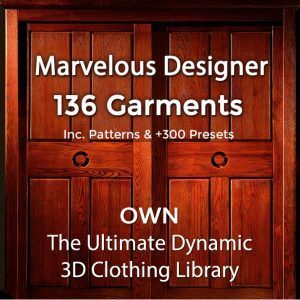 If you download all our free models of clothes you can fill your virtual closets or for renders of a virtual 3D clothing store. You are permitted to use all our free hanging clothes models for your projects or your clients projects, with attribution to CG Elves. Included in this free 3D hanging clothing model download are two variations of the same 3D dress. Poly count for the two 3D OBJ clothes is 9k and 19k. Mesh format is in quads. By changing colors or applying different seamless fabric textures you can change the look of this free 3D hanging clothes model. 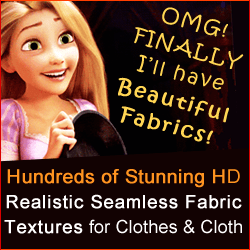 Need beautiful tileable fabric textures for your 3D clothes or digital cloth? Check out our hi-res seamless cloth material patterns. Need more hanging clothes OBJ models? Check out also our free to download hanging skirt 3D clothing model. We hope this hanging dress 3D clothing model free download helps you!